The new Cancún tour, which centers around the bustling Mercado 23 downtown, is guided by Adrian Becerril. Adrian, a chef who’s traveled all over the world, worked for us most recently in Mexico City, where clients raved about his depth of knowledge. He recently moved to Cancún with his family and is adjusting to his new beachside digs. Here’s more about what he thinks about his new home, and the stereotype that Cancún food is all nachos and margaritas. I decided to start cooking at the end of high school. I was 16, close to 17. I have always been an artsy guy. I love writing, music, but unfortunately I don’t have any talent for those things. After I started my culinary degree here in Mexico, I saw all the movement in Europe and I was interested in that and decided to give it a shot. I had a chance to do a post-graduate diploma in Europe, so I went to Seville to study for one year, then I moved to Tenerife another year and was working in star restaurants. Then I came back to Mexico City but I was still eager to explore Europe. So, the first thing when I got back, I applied to a job in Czech Republic and they accepted me. I got there and started traveling for the next eight years. Wherever I get an opportunity is where I usually go. And as a chef it’s very easy to travel to other countries, because of the crisis that exists in the rest industry: no one wants to do this job anymore. If you’re willing to put in grueling hours and travel, it’s easy to get visas and go anywhere. How many times had you visited Cancún before moving there this year? I first came when I was 10 years old. It was all beaches and tourism and water parks. And then I came back about 12 years ago, when I was 19. After I moved back to Mexico City, I came three or four times and I saw it through a different perspective. 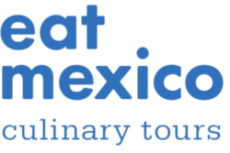 I was already working for Eat Mexico, but before I even knew about our Cancún tour project, Cancun already started to seem interesting from a touristic/culinary perspective. Now I know that Cancún has been designed to entice tourism, but it’s lacking the real thing, you know? At some points it doesn’t feel like Mexico, and that’s where we come in. We can fill in the gaps and remind people, especially the foreigners, that this is still Mexico. And like in other parts of Mexico, there is good stuff to eat, and people who work hard to provide that food to the hotels and other areas. What were your first impressions of the food in Cancun? My first impression is that it was a good mix of everything happening from all of the country and that the food was good. And my second impression was that all the food around here has been heavily influenced by the Yucatán food, by the peninsula food, with all of these ingredients. …For former Mexico City residents, it’s very interesting. 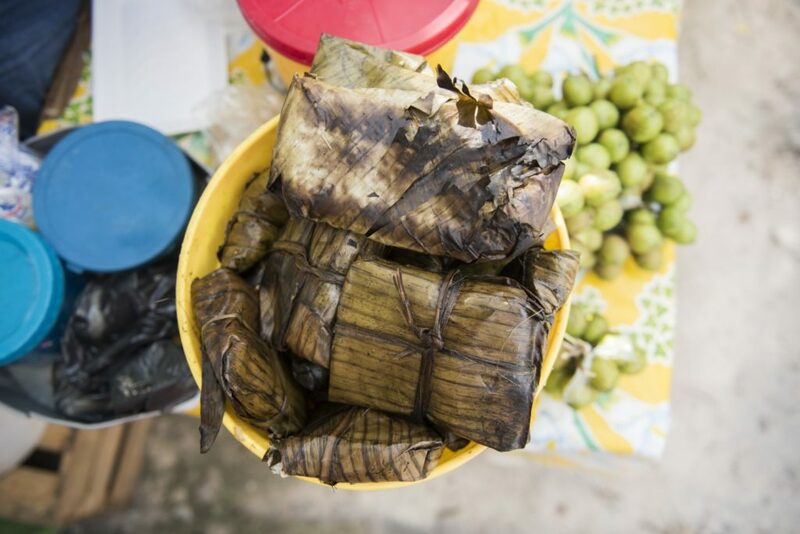 There’s stuff we’re not used to seeing, tamales colados, polcanes. It’s not necessarily common. It’s like a Lebanese kibbeh. It’s masa mixed with lentils, or it can also be beans, mashed, and after you fill it with ground beef or ground pork. It’s like a molote with meat in the middle, but with masa and lentils. It’s really interesting. And when you heat it up—well, here they don’t heat up everything because it’s already so hot outside—but they open it up, add pickled onions, and habanero and tomato salsa. That is my favorite thing to try after castacán. 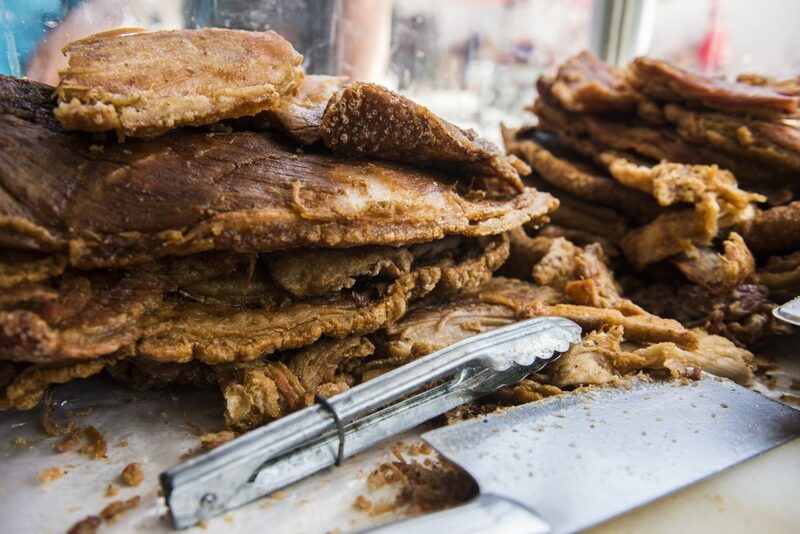 It’s as if carnitas and chicharrón had a baby, it’s called castacán. What have you been surprised about, as far as Cancún food goes? I would say the quality. A lot of people, especially me from Mexico City, we come thinking our food is the best. But it’s because we don’t dig deep enough. Now that I have moved a bit, and we don’t have a stove that’s working right now, when we’re going out to eat, we’re looking for cheap eats. We’ve found out there are a really really nice taco stands, like Mexico City ones, and that’s something that people don’t expect from Cancun. There’s nice suadero, nice chorizo. There are some places starting to serve fries and nopales in their tacos too, but really good quality. I also tried an Italian restaurant the other day. It was very unassuming; it was a random Italian trattoria. But the pizza was made in a wood-fire oven and the pasta was al dente, which was impressive. It’s not always consumed by the average Mexican in Mexico City. So the quality of the food, I’d say, is something that has impressed me. Usually you’d expect tacos and nachos and things like that. But once you start digging little more, it becomes more and more interesting. Now I’m thinking about a taco crawl around the city, but we need a car for that! We should start developing that. How are the salsas? Are they more habanero-based than what you’d see in Mexico City? Habanero is always present, but it’s not in every salsa. I tried a very spicy serrano salsa that was delicious. And I’ve tried a couple of red salsas that you can feel that there isn’t habanero in there. It’s very interesting. And I saw a big plastic bag full of habaneros on sale for 10 pesos. That was impressive. Usually it’s a little bag in Mexico City. Here they almost give it away for free. 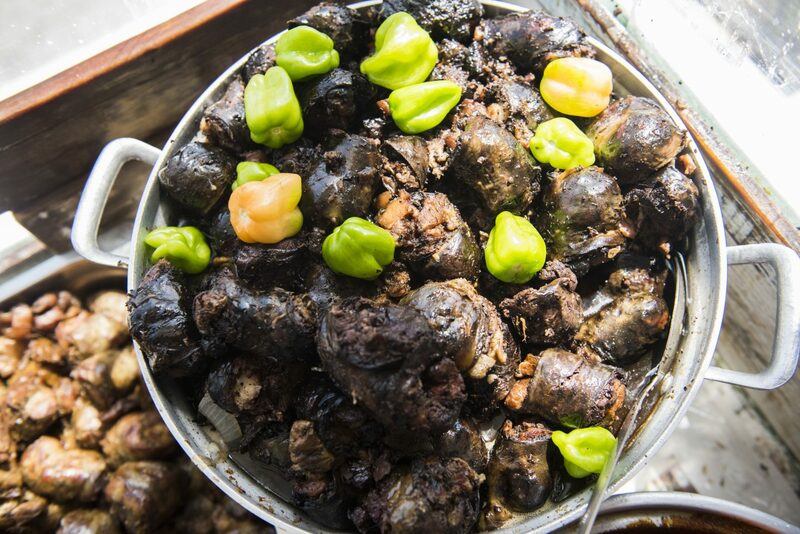 What is it about the magic of an habanero in Quintana Roo? They are amazingly good. Over here it’s so fragrant. I always say it on the tours. It’s not about spicy, there’s this floral and sweet flavor that comes once you get over the spicy. It’s this floral sweetness, there’s nothing like it. What is your favorite dish to eat in Cancún as of now? Castacán tacos. Just a taco placero, but instead of chicharrón, castacán. I could eat that on a daily basis. Just the tortilla, a slice of white cheese, avocado, castacán and spicy salsa, whatever we have on hand. One of the things I’m looking forward to is that expression on people’s faces, when they realize that Cancun is not only the beach front, and that it’s more than Corona with lime and fish tacos. Of course there are fish tacos. But there are fish tacos, and there are fish tacos. There are really good quality ones. 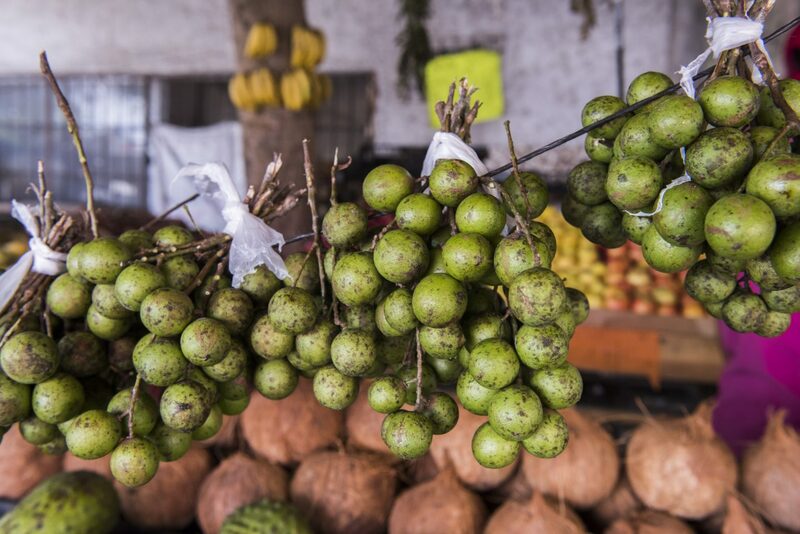 I’m looking forward to seeing the expressions on their faces when they try the local fruit like caimito, and guaya, and the nona, all of those fruits from the Peninsula. I saw it when we did our test tours, even with people who’ve been living here for five years and it’s the first time they’ve tried a tuna or a guaya or even lychees. …That expression, that look that they get—it’s happiness. It’s something I am looking forward to. I’ve really learned to enjoy it working for Eat Mexico. People think they know everything about Mexican food, but when you really give them something that’s Mexican and authentic, they love it, and the surprise on their faces is priceless. What is one piece of advice that you’d give to travelers taking this tour? The first one that I’ve learned is to stay hydrated. Don’t underestimate the sun. Drink a lot of water, even if you don’t feel like it. The second thing is come with an open mind. 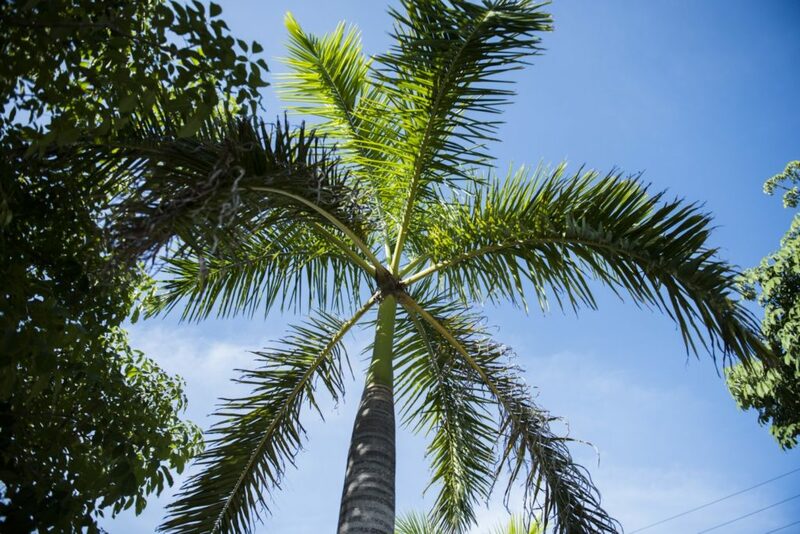 There are things that might shock you about Cancún, that you never thought that you’d find. 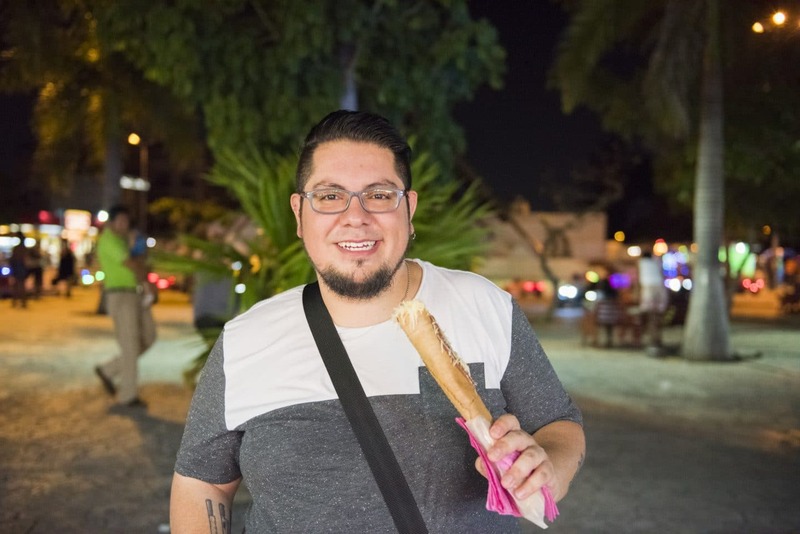 Adrian Becerril is a Senior Tour Guide for Eat Mexico in Cancún. Lesley Téllez is Eat Mexico’s owner.